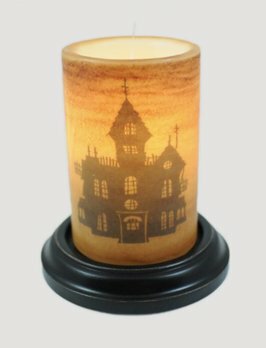 Here’s a spooky way to celebrate the Halloween season, The Haunted House Candle Sleeve. The candle sleeve is made in the USA. 6 watt bulb and the base of your choice (Antique White, Chocolate & Black) are all sold separately on our site. Here’s a beautiful way to remember every great Christmas, The Stick Snowman Gumdrop Candle Sleeve. The candle sleeve is made in the USA. 6 watt bulb and the base of your choice (Antique White, Chocolate & Black) are all sold separately on our site. You'll love this Round Candle Sleeve Base - Country White. 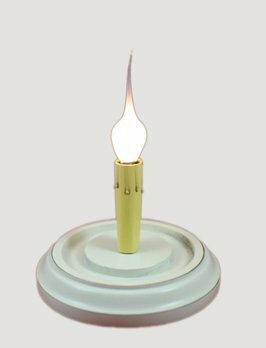 It has a vintage look, antique white is accented with a flame-tipped bulb & realistic candle drips, and is designed & made especially for our 6" candle sleeves. One 6" bulb included. A great way to celebrate a blessing, Grandchildren Complete the Circle Vanilla. The candle sleeve is made in the USA. 6 watt bulb and the base of your choice (Antique White, Chocolate & Black) are all sold separately on our site.